Close to the end of the last century, the quintessentially English band, Stackridge, recorded a song called, Something About The Beatles. ‘Turning on, tuning in, everyone believing in love. Making the world go round’. Just like everyone else on the planet, for the past half century and more, Stackridge felt that John, Paul, George and Ringo, collectively, The Beatles, made the world go round… and not just the world of music. There really was something about the Beatles that seemed to reach out to everyone. From royalty to those who simply wanted to touch them, share the same air as them or, if all else failed, to buy the records and bathe in their magical melodies and their wonderful words. 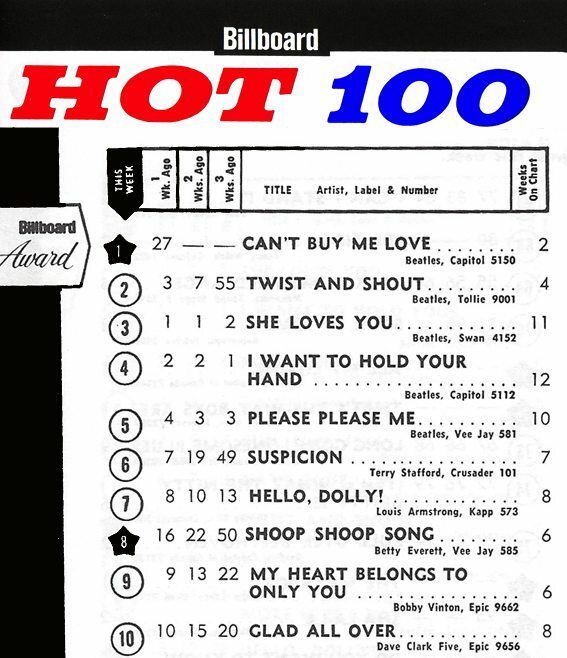 For the week ending April 4th 1964, The Beatles held the top 5 slots of the Billboard Hot 100. They also had another seven positions lower down the chart. One week later, they still had three discs in the top 5 and a further 11 slots within the Hot 100. In the UK, the mono version of the Please Please Me album was rush-released by EMI on March 22nd 1963. 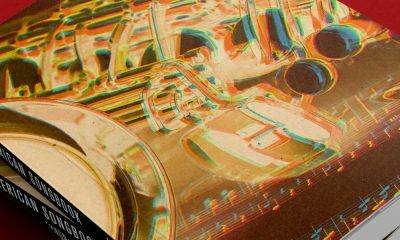 The stereo version was released in late April. All other albums up to and including Yellow Submarine in January 1969 were issued in stereo and mono simultaneously. According to the Recording Industry Association of America (RIAA), the album selling the most copies in the United States is Abbey Road. Sgt Pepper’s Lonely Hearts Club Band is a close second followed by the White Album. August 20th 1969 was the last time that all four Beatles recorded together, they finished on ‘I Want You (She’s So Heavy’). 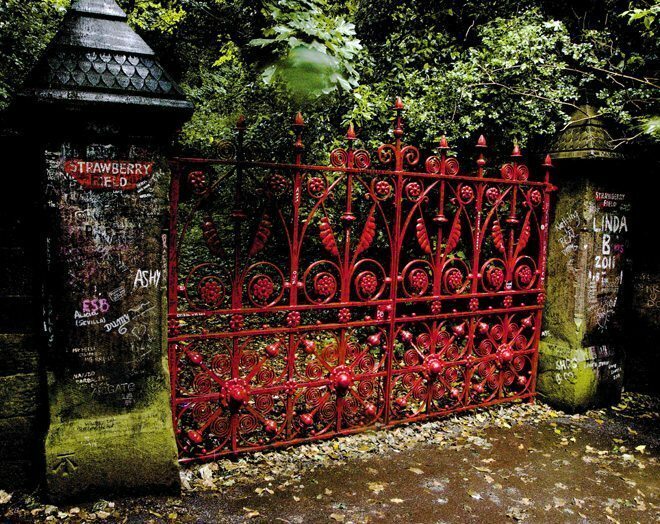 ‘Strawberry Fields’ refers to a Salvation Army home near to where John lived in Woolton, Liverpool, except that the place has no ‘s’ on the end; it is Strawberry Field. 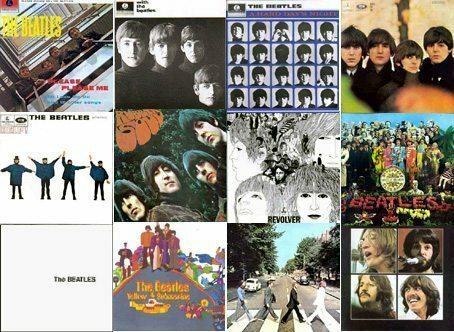 In the UK, The Beatles have topped the charts with fifteen different albums. In America, there have been 20 singles that topped the Billboard Hot 100 and 19 albums that made No.1 in the Billboard album charts. On the Help! album sleeve the semaphore letters that the four Beatles are spelling out with their arms does not say H E L P, but N U J V.
When they were known as ‘The Silver Beetles’, they did a seven-date tour of Scotland backing singer Johnny Gentle. Countries in which the Beatles have had the most No.1s include Australia, Germany, Holland, Sweden, Canada and Norway. The Beatles had eight No.1 hits in Zimbabwe and Switzerland, but only two in Ethiopia. A Hard Day’s Night is the first album entirely written by the Beatles – all thirteen tracks are by Lennon & McCartney. 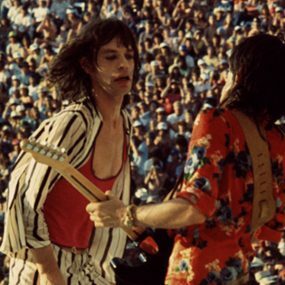 The mono mix of Lucy In The Sky With Diamonds is a semitone lower, than the stereo version and therefore slightly slower. After recording Love Me Do, P S I Love You, Please Please Me and Ask Me Why in 1962, the remaining 10 tracks for The Beatles first album, Please Please Me, took just ten hours to record. It took 129 days and 400 hours of studio time to record and complete Sgt Pepper’s Lonely Hearts Club Band. Sgt Pepper’s Lonely Hearts Club Band established the trend for artists to include their lyrics within the LP’s design. There are around seventy famous, and not so famous, people on the cover of Sgt Pepper’s Lonely Hearts Club Band including, Aleister Crowley, Mae West, Carl Jung, Edgar Allen Poe, Bob Dylan, Stuart Sutcliffe, Aldous Huxley, Marilyn Monroe, Laurel and Hardy, Karl Marx, Oscar Wilde, Lewis Carroll, Albert Einstein, Marlene Dietrich and Diana Dors. The Beatles have been named, collectively, as among the 20th Century’s most influential people. 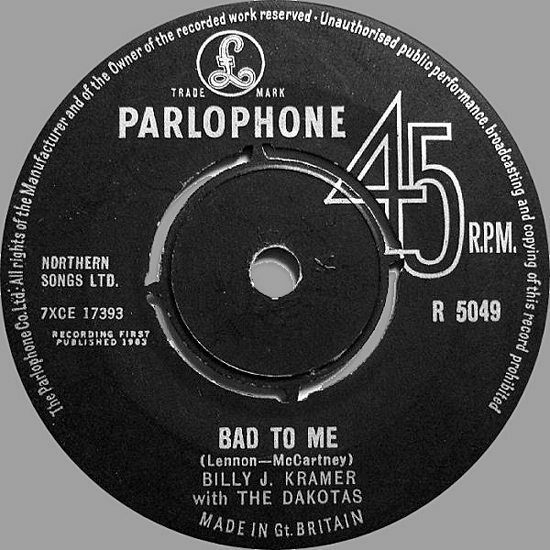 The first Lennon & McCartney composition to top the UK singles chart by another artist was Billy J Kramer with the Dakotas’ Bad To Me in August 1963. The first Lennon & McCartney composition to top the US singles chart by another artist was A World Without Love by Peter and Gordon in June 1964. The Get Back single, issued in 1969, also saw a stereo only release in North America and a mono only release in the UK. It would be the next single, The Ballad Of John And Yoko, that would see the first UK Beatles stereo 45 disc, even if the matrix numbers stated otherwise. 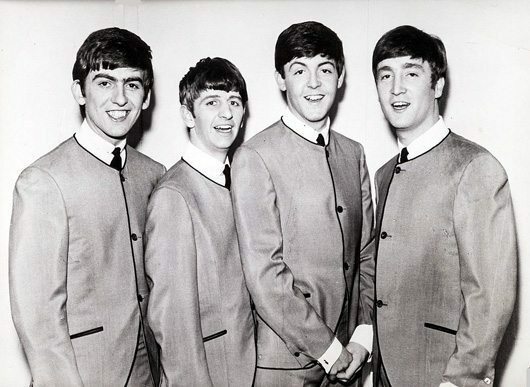 The Beatles’ first album, Please Please Me, topped the UK charts for thirty weeks before being replaced by With The Beatles, which stayed there for 21 weeks. Among the food and drink mentioned in Beatles’ songs are eggs, onion, cornflakes, honey, coffee, marshmallows, cherry, truffles, ginger, pineapple, honey, octopus, turkey, marmalade, coconut fudge, tangerine, strawberries, mustard and pies. But there are no ‘scrambled eggs’, Paul’s original working title as he was composing, ‘Yesterday’. Of the fourteen tracks on Please Please Me only eight were written by Lennon and McCartney (actually billed on this sleeve as McCartney-Lennon). On With the Beatles, seven songs were not written by the Lennon & McCartney – one of those being Don’t Bother Me, by George Harrison. The Beatles received fifteen Ivor Novello Awards from the British Academy of Songwriters, Composers and Authors. George Martin played keyboards on almost every Beatles album. Of all The Beatles albums released in the UK in the 1960’s A Hard Day’s Night is the only one not to feature a vocal from Ringo. Six of the fourteen tracks on Beatles For Sale are cover versions – they are all American rock ‘n’ roll records that were seminal influences on the band in their early days. From Me To You is the shortest Beatles single clocking in at one minute and 57 seconds. While the soundtrack to Help! was The Beatles’ fifth UK album, it was their eighth Capitol album in America. Among the people who sing backing vocals on All You Need Is Love are Mick Jagger, Keith Richards, Marianne Faithfull, Jane Asher, Mike McCartney, Pattie Harrison, Eric Clapton, Graham Nash, Keith Moon, Hunter Davies, and Gary Leeds of the Walker Brothers. The first Lennon & McCartney composition to chart in America was Del Shannon’s cover of From Me To You. There are more than 3,000 recorded versions of Paul McCartney’s ‘Yesterday’. By the time the Revolver album was ready for release, three of its tracks had already appeared on the American album Yesterday and Today so the North American edition contained only 11 titles. The version released elsewhere had the complete album. Eric Clapton plays lead guitar on While My Guitar Gently Weeps. George and Eric first met in December 1964 during the Beatles’ Christmas Show in London on which the Yardbirds, including Clapton, also appeared. After the inclusion of Larry Williams’ Dizzy Miss Lizzy on the UK Help! Album, every song would be an original composition by one or more of The Beatles on subsequent albums of new material. 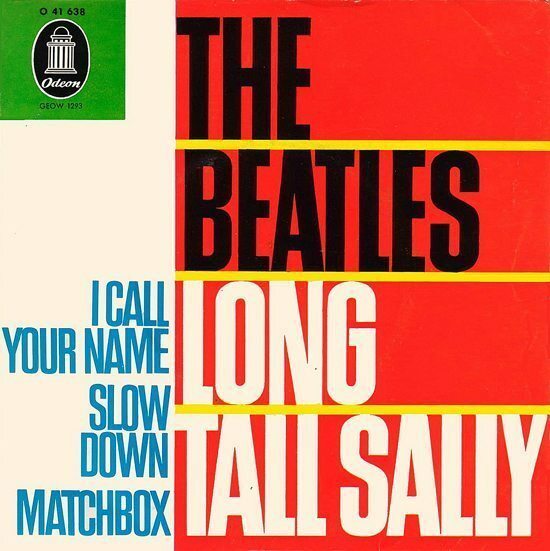 The last song of their last concert on August 29th 1966 at San Francisco’s Candlestick Park was Long Tall Sally. 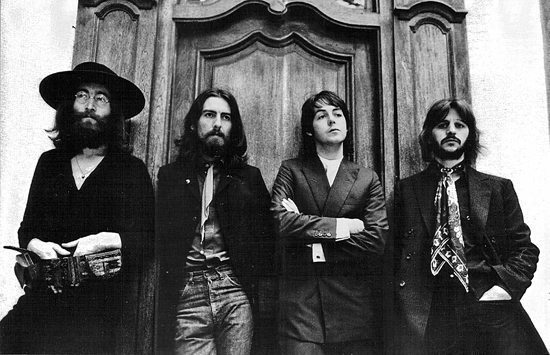 Don’t Bother Me on With The Beatles was the first George Harrison composition to appear on a Beatles UK album release. George Harrison sings lead vocals on two of the tracks on the Please Please Me album; Do You Want To Know A Secret and on Chains when he shares lead vocals with John and Paul. The BBC banned I Am the Walrus because of the reference to ‘knickers’ in the lyrics. The BBC also banned Lucy in the Sky with Diamonds, Fixing a Hole and A Day in the Life because they decided they all referred to drugs. George Harrison took inspiration for his composition Something after he heard James Taylor’s Something in the Way She Moves from his apple album, which was being recorded at the same time as The White Album. The photograph on the sleeve of their Please Please Me album was taken in EMI’s then offices at 20 Manchester Square, London W1 by Angus McBean. He and they later returned to the same location in 1969 to take similar shots initially planned for use on their upcoming Get Back album, but eventually used them on the 1962-1966 (red) and 1967-1970 (blue) albums in 1973. 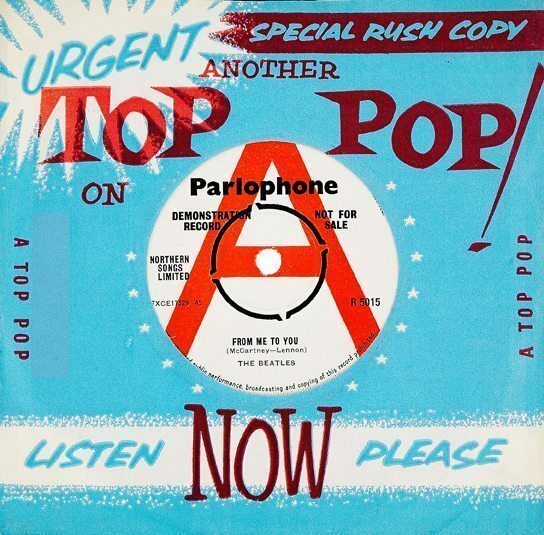 The version of Love Me Do on Please Please Me, features session drummer Andy White; Ringo drums on the version originally issued as a single in the UK. Cher’s first single, released under the name of Bonnie Jo Mason, was Ringo, I Love You; it was produced by Phil Spector. Ella Fitzgerald also recorded Ringo Beat the same year she covered Can’t Buy Me Love. Thanks for the mention in the intro to this feature . We are flattered & honoured. From all @ Stackridge HQ. Maggie Mae off Let It Be is a cover song. I HAVE BEEN A BEATLES NUT SINCE I FIRST HEARD THEM WHEN I WAS 11 YRS OLD. THEY HELPED ME MAKE IT THRU MY TEENAGE YEARS. I DID ALOT OF THE DRUGS THAT WENT ON DURING THE 60’S, BUT QUIT VERY EARLY. I TRIED TO HELP OTHERS WITH THEIR DRUG PROBLEMS. IT WAS TUFF TO GO THRU WHEN EVERYONE WAS DOING IT. I STAYED STRAIGHT AND WAS THERE WHEN THEY CAME DOWN. I EVEN TRIED TO ACT AND LOOK LIKE JOHN LENNON, CAUSE I WORE GLASSES TOO. I SHARE ALL MY TEEN YEARS WITH MY 4 SONS. I JUST HOPE AND PRAY THEY DONT DO WHAT I DID. THE BEATLES INFLUENCED ME AND ALOT OF OTHER BANDS. THEIR MEMORY WILL LIVE ON LONG AFTER THEY ARE ALL GONE. IT WAS A PLEASURE TO HAVE GROWN UP WITH THEM. Amen!! I’m now 61 and what an influence they had on my life. Holy S*** how they CHANGED the world. You could only understand if you have/had live through it. Did you catch the price of the tickets to see the Beatles in 1966? $14.00 I went to take my daughter to see “sir Paul” the cheapest tickets were $1500.00 per ticket. Damn shame about John Lennon and George Harrison!! The Beatles will always be alive as long as I can still breathe!!! Same age as Gordon, same love for the Fab 4! An Icon in my life, for sure!! “Magical Mystery Tour” wasn’t released as an LP in the UK in the ’60s. They did release two EPs however, Hello Goodbye, Strawberry Fields Forever, Penny Lane, Baby You’re A Rich Man and All You Need Is Love do not appear on these. MMT was released as an EP in the UK , not an album! Actually, on the ballad of John and Yoko, all instruments were played by John and Paul only. The other Beatles are not on it. So this list applies to only albums released in the UK? I have MMT in my collection and I live in the U.S. Would have been nice to include it anyway as artwork of all the Beatles albums. But then again, 9 covers makes a nice square. A 10th wouldn’t fit. try 12 covers…I guess Yesterday and Today was not a Uk release either. No. 12 is inaccurate. Track 5, ”I’m happy just to dance with you” was written by George Harrison. Bad finger is way under appreciated. I know Mal Evans worked with them. My drug addled brain keeps telling me that he worked with the Incredible String Band as well. Am I all wet or was there a connrction? The Beatles! in 1962 they were a revelation for me. The close harmony, the fresh sound, the juvenile enthousiasm i liked it! And now i am in the range of: ‘ when ‘i am sixty four’. It seemed an ethernity, John and George now have already changed their lives into eternity; But i am sure some of their songs will last for ever and become classic music! WHAT DO YOU MEAN MIGHT BECOME CLASSICS ????????????????????? Cool facts! I knew some of them but it’s always fun to learn more. I’m so greatful to grow up with The Beatles and thinking that the kids today never can imagine how it was like in those days. They have nothing that comes even close! Thank God we still have The Beatles music! Even those people who say they never liked the Beatles in fact had here lives influenced by them if they lived through the sixties , as we all did at that time, it was always more then just the music in the end, it was a feeling of the times, something that has never occurred again since, and really you had to live through the sixties to have understood it , whatever music i listen to now and like it doesnt matter how many times i hear a beatles song i always come back to the music theres something about it , and really it all started out of something so simple? Number 45 is the absolute truth. Wouldn’t Her Majesty, off Abbey Road, be the shortest at 28 seconds? Her Majesty wasn’t a single. I was born after the fact (1972) and just LOVE listening/reading/watching you old geezers bang on about how The Beatles changed your lives when you saw them and lived through those transformational years. I am 100% jealous of you all! When I discovered them (I must have been about 8?) the songs were amazing. There is just something about their music which transcends time. I could bang on about this for ages! The few months after their India visi was their most creative period. The shortest Beatles song is “Her Majesty” from Abbey Road. Written by McCartney, it clocks in at 23 seconds. But you say single, so are you talking about released music? The GODS of our generation ! All connected with them is Holy and Eternal ! 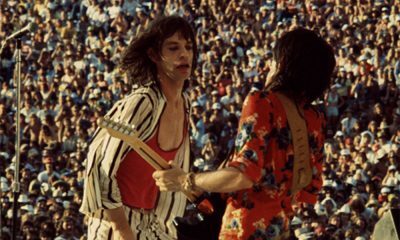 I was never a Beatles (as a group) fan as a youngster (born in 1960) … more Rolling Stones and Aerosmith. I have ALWAYS loved Johns work and in particular George Harrison. To me he was the God. But as i got older I appreciated their music so much more. Now i have introduced my son (12) to their music and taken him to three Beatles Tribute Band concerts. He loves their music. We will always sing and hum their music. It is inspirational to us both … and something we will share forever. Han sido la fondo musical de mi vida. Gracias. The opening chords to ‘The Night Before’ is still the most dynamic joyous intro of all! A Hard Day’s Night at a local movie theater except it was hard to hear with all the screaming!! My favorite album will always be the White Album. Yes, I would say they have had a great influence on my life. “A Hard Days Night,” except hard to hear with all the screaming. My favorite album will always be the “White Album.” Yes, I would say they have been a major influence on my life. #45!! toda mi vida los escucho y escuchare desde la ciudad de MEXICO D.F. Correction. A Hard Day’s Night was not the only album that doesn’t have a Ringo vocal. Let It Be doesn’t have one & Magical Mystery Tour too if you include that as an album…..
# 27 …I don’t recall Ringo singing on the Let It Be album. Wasn’t ‘Meet the Beatles’ their first album? I hope they have The Beatles music playing in Heaven when I get there. As john allegedly said to the others “to the top”, I wonder if they sat around and looked at each other and pondered “what have we done??! !” You (all of you) and I were taken up, our wandering mindless hearts and souls…”from now on you will be Beatles fans”, which we all took up…we ate it up, always the want for more. I’m 12 and glued to Ed Sullivan. The next day I’m working out the song on dad’s 52 tele. Gotta learn the piano next! Then Dad buys me a reel to reel. Away I go into my dreams of being one of the boys…now it’s just a hobby…at 62 the hope of stardom is long to the shadow. I’ll be forever thankful they helped me grew in such a time. Each of us could spend hours writing our comments and never fully express what they did for us and meant to us. We’re they ever truly aware the impact they made on this small meaningless point of life? You could also add that Eric Clapton gave the guitar he used on “While My Guitar Gently Weeps” – a 1957 model Gibson Les Paul Standard in cherry red – to George who used it on both Abbey Road and Let It Be (most notably appearing on “Something”). when we were little we pretended that we were them, and have girls run after us. beatles fan forever. Her majesty was not a single. The fact said shortest single. I think they still should have mentioned that as a side note. I’ve been a beatlemaniac since I was 10. They were the reason why I started learning English. I got married with another beatle fan and know when? just on Paul’s birthday. My daughter is named Cynthia like Lennon’s first wife. I became an English teacher after some years. My elder son followed all Paul’s career up to now.The FAV FOUR have always been part of my life. It’s great to read that..:) I’m writing my thesis on the topic of incorporating the Beatles in ELT – do you have any experience with using their songs in your lessons? Thank you. You have it mixed up. Ringo plays Love Me Do on Please Please Me and Andy White plays on the single. You can find that in The Love You Make: An Insider’s Story of The Beatles. Who gives a rat’s behind!!! Entertaining. Thank you. Wish there were more. I always wondered why no one ever made any comments about George’s big FALL in the intro of the A Hard Day’s Night movie? Remember when the boys were running together, towards the camera with all of the girls behind them, kind of between a wall and some cars? And, suddenly George trips and SPLAT! falls down, almost tripping Ringo, too? Then, he gets back up, starts running again and wiping his hands, laughing? I mean, that MUST have hurt! I bet he had sidewalk rash all over his palms and knees! OUCH!! Yeh probably the greatest music band ever about ten years of recording music an album every six months singles inbetween albums,yeh in the begining they took music to the masses big time followed the music of the fiftie’s and old radio music of that time.You had to appear live on tv so the start of great music shows then giant stadium shows four guys of the working class hero’s one and all,young boy of fifteen my first suit light grey beatles suit with velet collar black leather chelsea boot cuban heels never looked back was with them all the way. Yeah.. I would like to quote the author of these facts in my Diploma thesis- can write me the source of the interesting information? Many thanks! 45 IS AN OPINION NOT A FACT!!!!!!!! FACT 29#: FOLLOW THE SUN IS ONLY 1;49 8 SECONS LESS! NO 45 IS A FAKE!!!!!!! Look no further than 1965-1970 …. Help, Rubber Soul, Revolver, Sgt. Peppers, White Album x 2, Abbey Road, and Let it Be…. I’m not sure people really realize the volume of music ….good music they released in that FIVE year span……not to mention all the singles not on these albums. Number 45 IS a FACT !